MUNISING, MI – Gerald “Jerry” Joseph Dusseault, age 78, of Munising, died Thursday afternoon, September 6, 2018 at U.P. Health System in Marquette. He was born on November 20, 1939 in Lowell, Massachusetts to the late Joseph and Katherine (O’Toole) Dusseault. In high school, Jerry was a captain of the football team and played basketball and baseball. He was also a member of the National Thespian Society. Jerry graduated from Kennebunk High School in 1957. He was stationed in Germany in the U.S. Army from 1957 until his honorable discharge in 1959. During his service, he was fortunate to travel Europe from the Eiffel Tower, to Big Ben to skiing the Alps. Jerry was well traveled. Jerry attended Michigan Tech at the Sault Ste. Marie Branch for two years and he worked for WSOO radio as a news announcer. He transferred to Michigan State University and announced for Capital News for WILS radio. Jerry earned his Bachelor’s degree in Advertising and Communication Arts from MSU. As an alum he instilled Spartan will in his three sons and a love for MSU sports. On June 12, 1965, Jerry married Pennie Shunk in Sault Ste. Marie and began raising their family. He worked for the Buyers Guide, a weekly shopper located in Hessel until in 1968, Jerry’s father-in-law opened Shunk Furniture’s Munising location, and he fell in love with Munising’s natural beauty. Jerry moved his family there to run the family business. He eventually owned both the Munising and Manistique Shunk Furniture locations, that now his sons own and operate, passing down the family business. 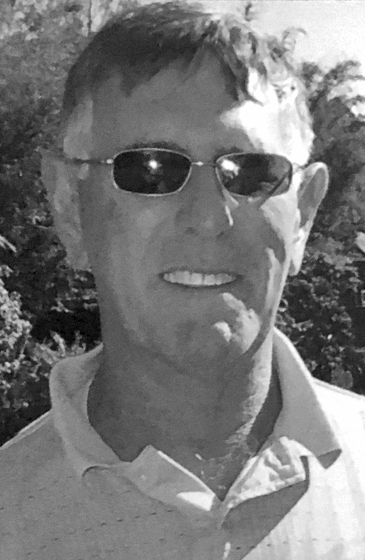 Jerry was an active community member and served on several community boards, President of the Alger County Chamber of Commerce, a director of Pictured Rocks Golf and Country Club, advisory board member, First National Bank of Manistique and member of the Munising Lions Club. Jerry was an avid golfer, bowler and enjoyed the lake, starting with camp on 16 Mile Lake and his later homes on Munising Bay and AuTrain Lake. He loved the water, the animals, and the birds. He especially enjoyed all of the ski trips with family and friends. Jerry loved his family and friends, and he really enjoyed having his grandkids at the lake. Jerry is survived by two sons – James “Jamie” (Amy Braeger) of Manistique and Jason (Laura) Dusseault of Munising; daughter-in- law – Trista Dusseault of Marquette; grandchildren – Joseph, Joshua, Cameron, Taylor, Caylee, and Jack Dusseault; former wife – Pennie Shunk Dusseault; brother – Joe (Geri) Dusseault of Hot Springs, AR, brothers-in- law – Spence (Susan) Shunk of Sault Ste. Marie, Karl (Carol) Shunk of Marquette, and Stanley (Sue) Shunk of Sault Ste. Marie; sisters-in-law – Brenda (Wayne) McGuire of Sault Ste. Marie and Grace Burton of Sault Ste. Marie; and several nieces, nephews, spouses, children. He was preceded in death by his parents, son Jeffrey Dusseault, parents-in-law Spencer Shunk and Verna Shunk Rogers, brother John Dusseault, and sister-in- law Karen Shunk. There will be a graveside service at the Maple Grove Cemetery in Munising where military honors will be conducted by the American Legion and Vietnam Veterans Honor Guard on Saturday, September 15, 2018 at 12:00 p.m. A celebration of Jerry’s life will follow at the American Legion from 1:00 p.m. until 4:00 p.m.